St. Patrick’s Cathedral is situated on the corner of Donald and Archibald Streets in Thunder Bay. 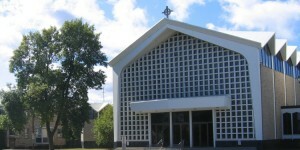 It serves both as our Parish Church and as the Mother Church of the Diocese of Thunder Bay. In every Diocese, one church is selected and designated as its Cathedral. It then becomes the Bishop’s Church and his ‘Chair’, which is symbolic of his Apostolic succession and his Ministry of leadership throughout the Diocese is located there. In fact, ‘Cathedral’ is derived for the Latin word, ‘cathedra’ which literally means, chair. The Cathedral is also called the Mother of all the churches located within the territorial limits of a particular Diocese because, as the Episcopal Church, it serves as the centre of the Diocese’s Liturgical life. 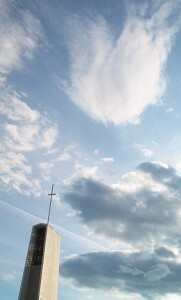 Like most Cathedrals, our’s is also a Parish which serves the spiritual needs of 1,100 households. It serves as the sacred place in which our Faith Community prays, worships and celebrates its Sacramental Faith life together. 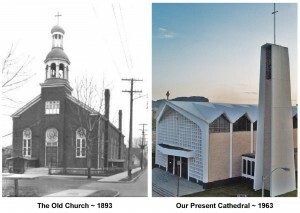 In 2015, our Parish celebrates the 122nd anniversary of its founding in 1893 as well as the 63rd jubilee of its designation as the Cathedral of the Diocese of Thunder Bay. 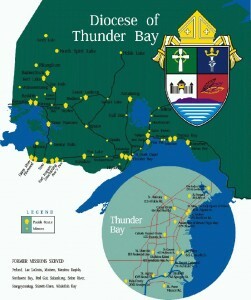 The crest which identifies the Diocese of Thunder Bay is surmounted by a Bishop’s mitre, the symbol of his leadership and ministry to God’s people in this Diocese and in this Parish. The upper right quadrant of the shield displays, on a field of navy blue, a white lily with a golden crown above it. 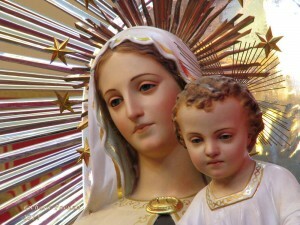 This symbol of the Virgin Mary honours Our Lady of Charity, the principle Patroness of the Diocese. Because St. Patrick is our secondary Diocesan Patron, his symbolic Celtic cross on a field of green is displayed in the upper left quadrant of the shield. The depiction of the main gate of Fort William Historical Park in the lower left quadrant reminds us that the Diocese was first named the Diocese of Fort William when it was established in 1952. Three eagle feathers on a red background represent the Aboriginal peoples , the first inhabitants of this territory and the first to worship God here. They were also the first in this area to hear the Gospel of Christ preached to them by the Jesuit Missionaries over 350 years ago. At the base of the shield is the much celebrated ‘Sleeping Giant’ natural rock formation which identifies the city of Thunder Bay and which is actually found on Thunder Bay in Lake Superior. Our crest is prominently displayed near all the entrances to the Cathedral. ‘Patricius’ was born in Britain, the son of a deacon and government official of the Roman settlement there. At the age of sixteen, he was captured by pirates and sold as a slave in what is now Ireland. During this time of captivity the grace of his Christian Baptism was re-awakened. After escaping and returning to his homeland he began to eagerly practise his Faith and to pursue a call to the priesthood. He was eventually ordained a priest and later, a bishop. 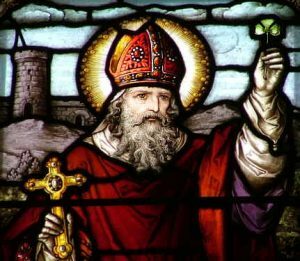 Patrick’s dream was to return to Ireland as an ordained clergyman, to evangelize its inhabitants and to establish the Christian Faith in that land of his youth. 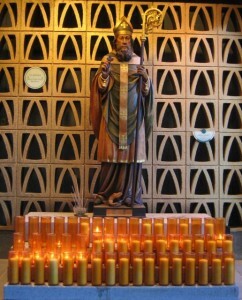 Through his inspired preaching and with the help of many others, the Christian Faith was embraced in most of Ireland by 492 A.D.
We are proud to call this heroic Saint, the Patron of our Cathedral. This universally recognized ‘Celtic’ cross has been traditionally associated with St. Patrick for over 1500 years. It was originally a free standing stone column marked with a circle which the inhabitants of what is now Ireland, used to worship the sun which they believed to be divine. Patrick marked a cross on the circle and taught his converts that Christ was greater than the sun and that it was He and not the sun Who is the light of the world. After this, Irish monks throughout the Celtic regions of Ireland and later in Britain, erected similar ‘high’ crosses to celebrate the Christianizing of the peoples of Ireland. It is this ancient and historic symbol which we proudly display throughout our Church as the sacred symbol which identifies the Cathedral Parish of Thunder Bay. ~ There are natural springs under the present Cathedral. ~ Stained glass windows from the original St. Patrick’s Church have been relocated in two of the side Chapels, and in the Sacristy of the new Cathedral. ~ Russell Goodman, the recipient of the Order of Canada for his artistic genius, designed and produced all the other stained glass windows in the present Cathedral. 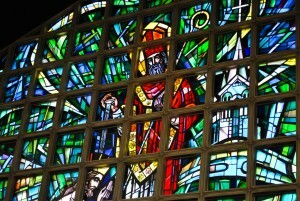 ~ St. Patrick’s window in the narthex of the Church forms the wall of the Cathedral’s main entrance and is the 2nd largest of its kind in North America. ~ The statue of the Sacred Heart of Jesus (now in one of the side Chapels) was carved in medusa marble and is one of the 3 original statues which were placed in the new Cathedral in 1963. 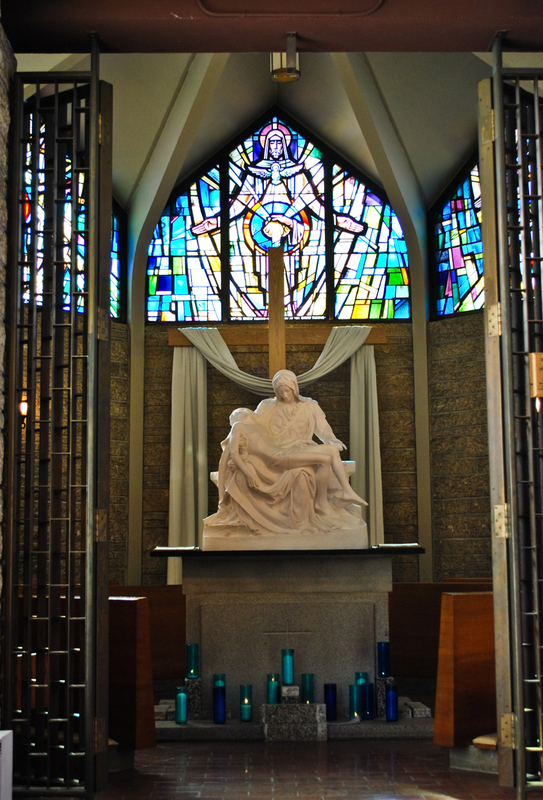 The other 2 marble statues of St. Joseph and the Madonna and Child were destroyed by vandals in 1991. 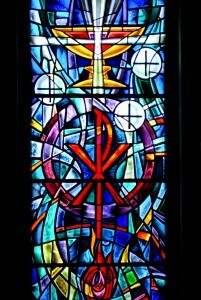 ~ The windows in the Chapel of the Pietà (originally the Baptistry) depict the 7 Sacraments. 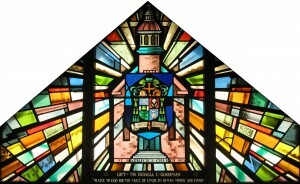 The 8th window (pictured above), a gift from Russell Goodman to the Parish, shows the original St. Patrick’s Church and the Coat of Arms of Bishop E. Q. Jennings. 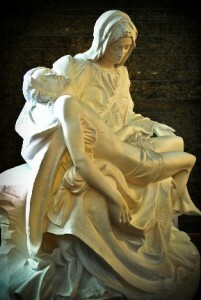 ~ The replica of Michelangelo’s Pietá in the Memorial Chapel is only 50 cm (20 inches) shorter than the original sculpture which is found in St. Peter’s Basilica in Rome. ~ The statue of Christ on our new Sanctuary Crucifix measures over 1.8 meters (6 feet). 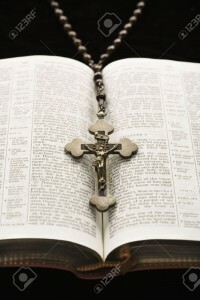 The Cross itself is made of solid oak and stained in walnut. It measures 13 feet high (almost 4 meters). ~ St. Patrick’s Cathedral is one of the largest Churches in Ontario with a total seating capacity of 1,200. 1641 The Jesuits first arrived in the Fort William area. 1848 Fathers Fremiot S.J. and Chone S.J. established a Catholic mission two miles from Fort William on Mission Island. 1891 The foundations of the original St. Patrick’s Church were put in place. It was built on the same corner of Archibald and Donald Streets where the present Cathedral now stands. 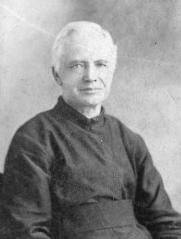 1893 Jesuit Father Ludger Arpin, S.J. 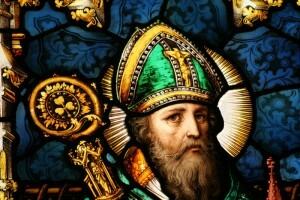 was appointed the first Pastor of St. Patrick’s Parish. 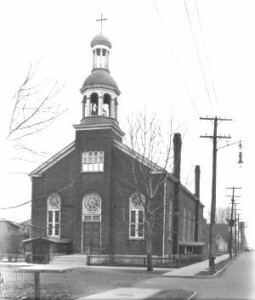 1924 The first Diocesan Priest who was appointed Pastor of St. Patrick’s Parish was Rev. Msgr. P. J. Monahan. He was subsequently named Bishop of Calgary and then, Archbishop of Regina. 1928 Opening of St. Patrick’s High School (also known as, Arpin Memorial). 1952 (April 29) A decree was issued designating the City of Fort William the Episcopal See of the newly formed Diocese. St. Patrick’s Church was designated its first Cathedral shortly afterwards. 1952 (August 22) The Episcopal Installation of Most Rev. 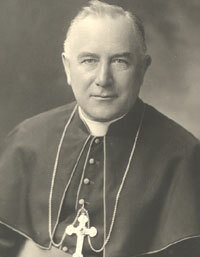 E. Q. Jennings, our first Bishop. Rev. 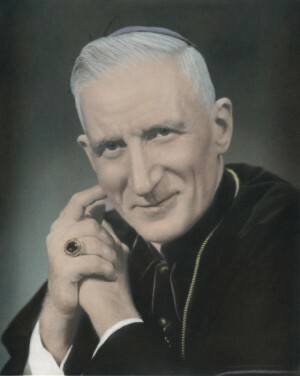 P. J. McGuire (later Monsignor) who had been Pastor of the Parish since 1931 was named the first Cathedral Rector. 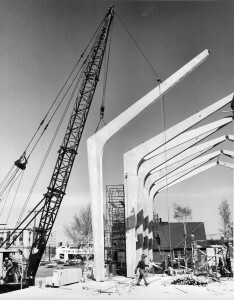 1955 (May 31) The Diocese was dedicated to Our Lady of Charity and St. Patrick was named the secondary Patron of the newly formed Diocese. These designations were officially approved in Rome by Pope Pius Xll on July 19, 1957. 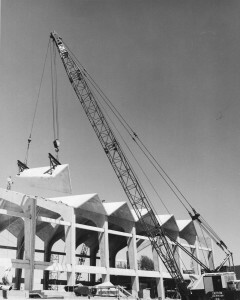 1963 (September 15) The cornerstone for the new Cathedral was set in place by Bishop E. Q. Jennings, our first bishop. 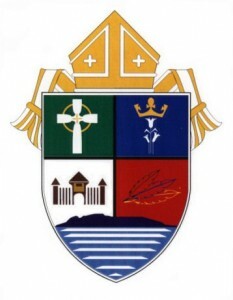 1970 After the amalgamation of the twin cities of Port Arthur and Fort William, our Diocese was renamed from the former ‘Diocese of Fort William’ to ‘Diocese of Thunder Bay’ (‘Sinus Tonitralis’ is its official Latin name). 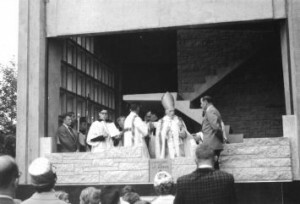 1970 (May 26) The Episcopal Installation of Bishop N.J. Gallagher as our second Bishop. He died five years later at the age of fifty-eight. 1976 (July 21) The Episcopal Installation of Bishop J. 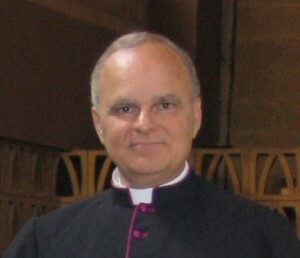 A. O’Mara as the third Bishop of Thunder Bay. 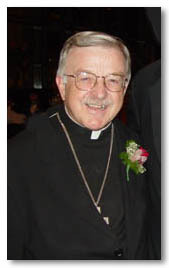 In 1994 he was named Bishop of St. Catharines until his retirement at the age of 75 in 1999. 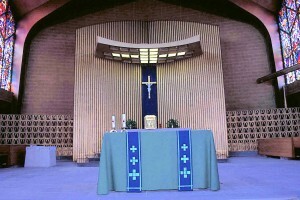 1991 (December 25) The Sanctuary was vandalized prior to the 8:30 am Christmas Mass. Two original marble statues, several artifacts and chalices were broken or destroyed. The total damage amounted to over $65,000. 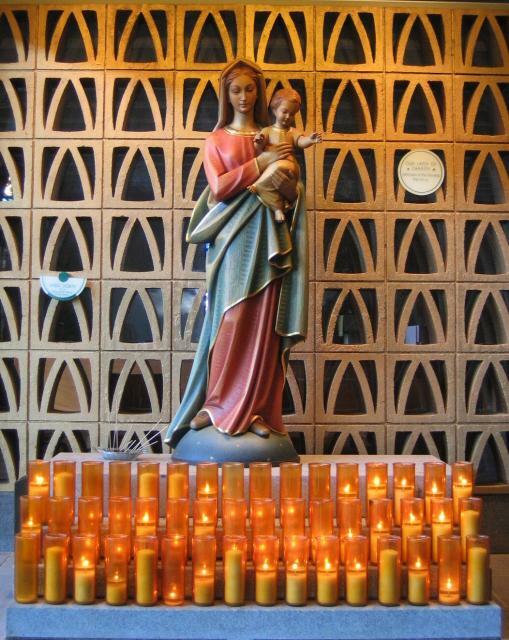 1992 The Parish Catholic Women’s League donated to the Cathedral, a statue of the Virgin Mary with the Child Jesus and another of St. Patrick, our Parish Patron. Both statues were carved in lindenwood in Italy and decorated in natural colours. 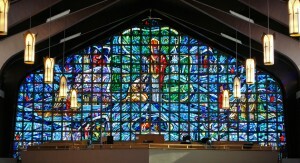 1993 The Cathedral celebrated the 100th Anniversary of its founding as a Parish. Our Centenary theme was:“A Journey in Faith”. 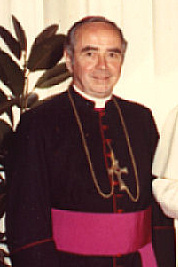 1995 (May 11) The Episcopal Installation of Bishop Fred Henry as the fourth Bishop of Thunder Bay. 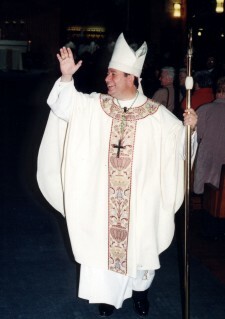 1999 (March 25) The Episcopal Installation of Bishop Fred Colli as the fifth Bishop of Thunder Bay. 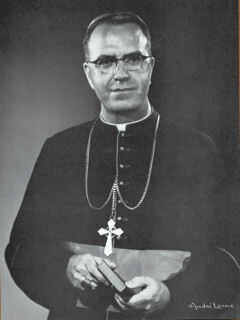 Bishop Fred Joseph Colli was born in St. Catharines, Ontario and ordained for that Diocese on June 21, 1975. After 20 years of priestly service, he was ordained to the episcopacy on February 22, 1995 and appointed Auxiliary Bishop of Ottawa. 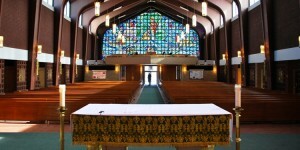 In 1999 he was named Bishop of Thunder Bay and installed in his Cathedral on March 25, 1999. 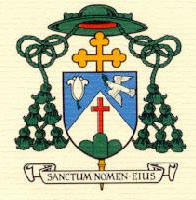 Bishop Colli’s Episcopal motto is: ‘Holy is His name’. 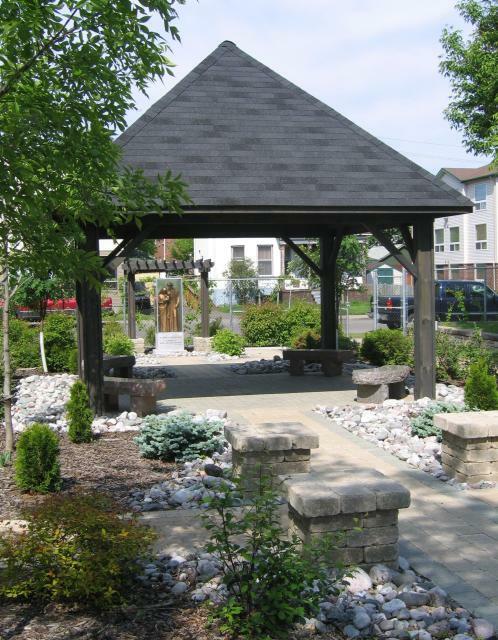 2004 (August 21) The new Holy Family Garden Shrine was built on the Cathedral Grounds and the Chapel of Our Lady was remodeled. They were both blessed by Bishop Colli. John Martinuzzi financially sponsored both projects. Bishop Colli celebrated the Mass of Easter and presided at the Ceremony of Investiture as Monsignor of Rev. P. M. Stilla. During the ceremony he also announced the appointment of Msgr. 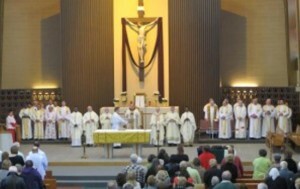 Stilla as Vicar General of the Diocese of Thunder Bay. 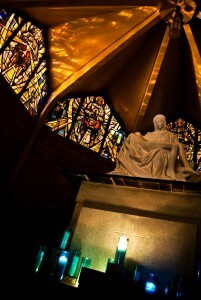 The Cathedral’s former Baptismal Chapel was remodelled and renamed the Memorial Chapel of the Pietá. It was blessed and dedicated by Msgr. Stilla to the memory of the deceased members of our Parish. The Catholic Women’s League donated the replica of the Pietà and many others financially supported the project. 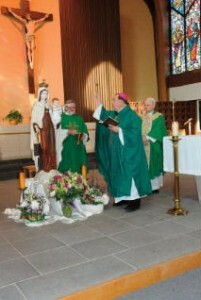 2013 (December 15) The newly redecorated Cathedral Sanctuary with its devotional Crucifix were blessed by Bishop Colli. The project was funded by the donations received from ‘Friends’ members and by the Parish’s Catholic Women’s League. 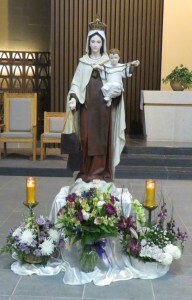 2015 (February 15) The redecorated statue of Our Lady of Mount Carmel was solemnly blessed by Bishop Colli with members of the Discalced Carmelite Secular Order present. The image was originally venerated in the old St. Dominic’s Church (east end) and donated to the Cathedral. 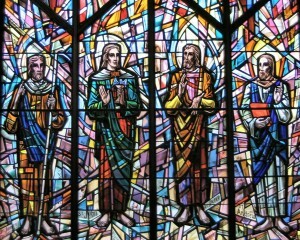 (These Priests served as Pastors until the Parish Church was named the Cathedral. The Bishops who are named served as the Cathedral`s rightful Pastors after 1952). 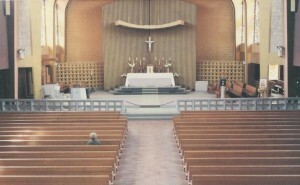 Decorated prior to the Liturgical reforms mandated by the Second Vatican Council, the original 1963 Sanctuary was furnished with a high Altar of Sacrifice. On it was placed the Tabernacle and, affixed to its canopied reredos, was a small brass and marble crucifix. 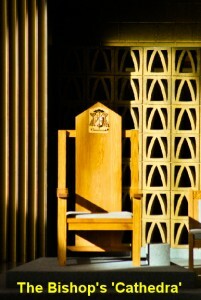 The Bishop’s Chair, which is not visible in this picture, was placed to the side of the Sanctuary and, as was customary at that time, a Communion rail separated the Sanctuary from the nave of the Church. To put into effect the Council`s Liturgical reforms, the purpose of the original high altar with its Tabernacle was changed from the `Altar of Sacrifice` to the`Altar of Repose`. 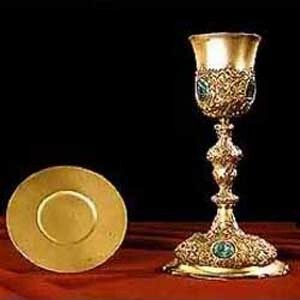 It would now serve solely the suitable place for the reservation of the Holy Eucharist. 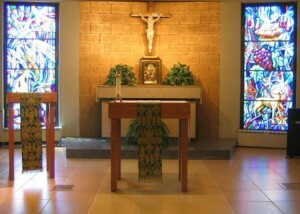 A new fixed Altar of Sacrifice was installed so that Mass could now be celebrated facing the people. Eventually, the granite Communion rail and the canopy on the reredos were removed, the original altar crucifix was replaced with a larger and more modern metal one and the Bishop`s Chair (Cathedra) was moved away from the side wall and placed behind and to the right of the Altar. This latest transition was completed in 2013. The credence table was moved forward, and a new Presider`s chair and matching chairs for other Ministers were placed near the altar. 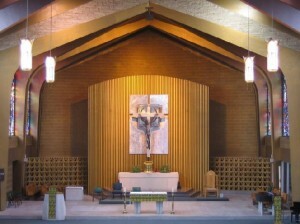 The Altar of Sacrifice was enlarged and the Sanctuary was trimmed with oak. 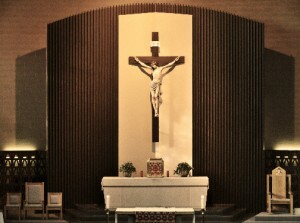 The Sanctuary walls and the reredos were painted and redecorated, the metal crucifix was donated by the Parish to Our Lady of Charity Mausoleum and a new life-sized devotional crucifix was installed in its place.